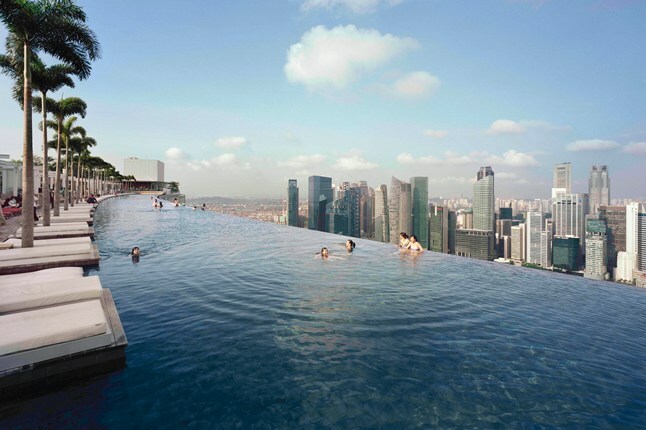 Singapore’s roof-top or infinity swimming pool, as it is popularly known, sits atop the most expensive resort in the world- Marina Bay Sand resort. It’s here, from where perhaps, one can watch the most beautiful skyline view of Singapore. If you are the one who gets their adrenalin pumped on heights, this place is worth a visit in Singapore. 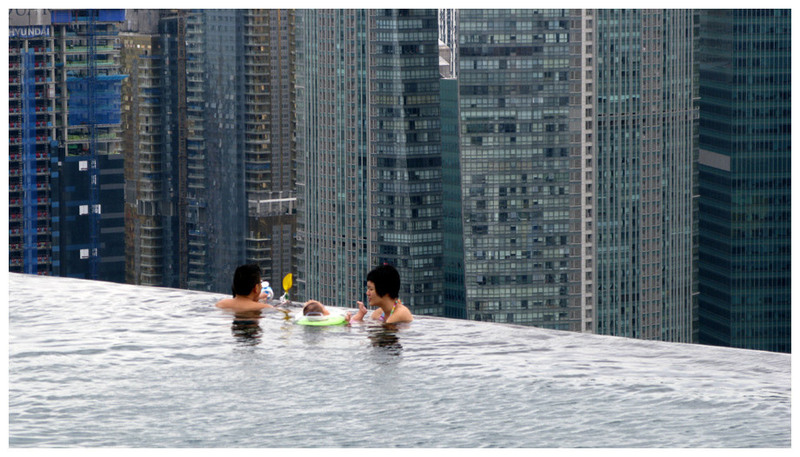 Our guide told me that, the massive pool is perched on three 55-story high hotel towers of the Marina Bay Sands Resort, an integrated resort property whose construction project was the most expensive of its kind. The design, conceptualized by the resort’s architect Moshe Safdie, was inspired by a deck of playing cards, appropriate, as one of the hotel’s main attractions is its large casino. Apparently, the length of the pool is more than 3 football ground and takes around 20 minutes to walk from one end of the deck to another. The 475-foot vanishing edge gives the appearance of an abrupt cut-off at 650 feet in the air, however just below the top edge is another trough-like basin which catches the water and returns it to the main pool. The hotel is believed to have around 2600 rooms, approximately 10,000 employees, a restaurant, botanical gardens with 250 species of trees and 650 plants, spa facilities and an observation deck which costs around 20 USD. Unfortunately, you cannot swim and relax by the pool side, unless you are a guest at the resort. 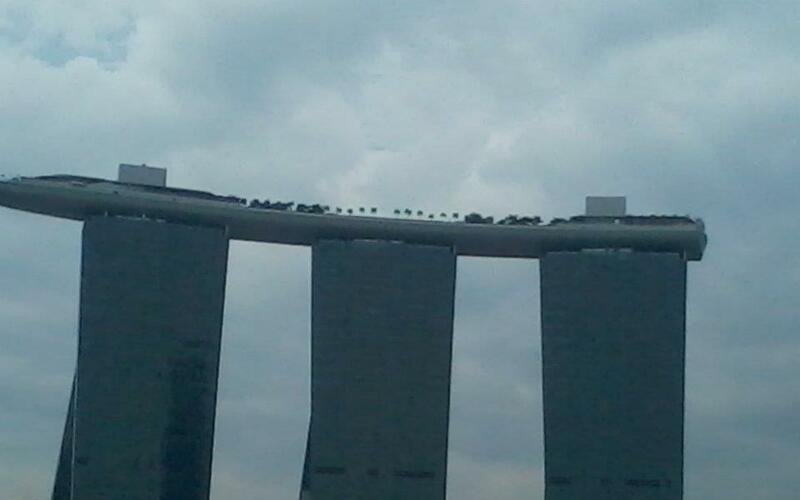 In all possibility, you’ll end up taking shots of the skypark hotel from below! 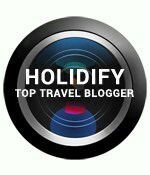 This entry was posted in Hostels and accomodation, Luxury travel, Must visit places, Travel and tagged blue, cool, guest, Infinity, Marina Bay, Sand resort, Singpore, swimming pool, turquoise water. Bookmark the permalink.